Light and airy! 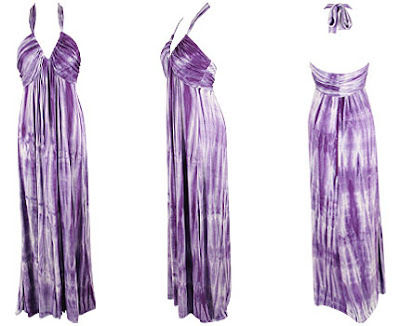 This tie-dye print maxi dress is fashioned with shirring detail below the empire waistline and adjustable halter straps that form a low v-cut at center bust. Length of Small dress from underarm: 51 inches. 100% Rayon. Dry clean only. Made in USA. Love this dress! Super comfy, flowy, and fun!